Moscow, 1952. Anna is taken to the Kremlin where she has to cure Stanlin himself. She needs to keep the secret at all costs and as her relationship with the URSS leader grows, her couple with Vassilli tumbles. a case. who defines an entire period. 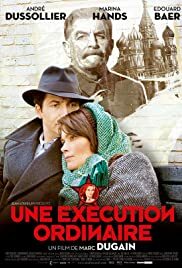 a film about Soviet Union under Stalin . and a beautiful introduction to the atmosphere of regime. far to be great, it is one of films who reminds, in correct manner, a great tragedy. ideal for discover the rules, logic and cynicism of Soviet power, for defines a leader who could be hero in some from East Europe regions, for the tension of a fight, for the essence of fear as the most convincing rule, for the image of woman in the heart of dictatorship, for a remarkable portrait of Stalin and for its end who is the definition of an entire process. a film who only suggest the tragedy of Communism. in correct manner, only too cold but useful as point of research about crimes and about high cynicism of a war against yours citizens.